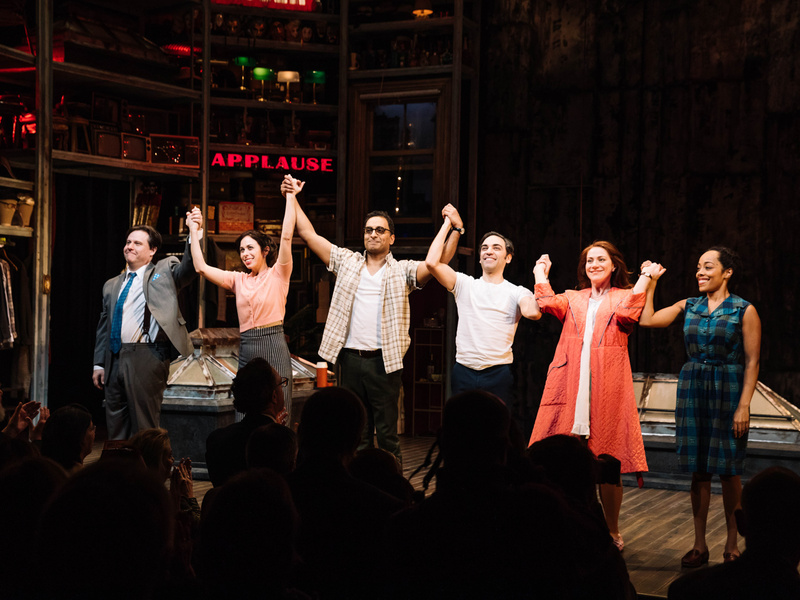 Fiasco Theater's reimagined production of Merrily We Roll Along officially opened at off-Broadway's Laura Pels Theatre on February 19. Featuring Paul L. Coffey, Emily Young, Manu Narayan, Ben Steinfeld, Jessie Austrian and Brittany Bradford, the classic Stephen Sondheim musical is directed by Noah Brody with music direction and orchestrations by Tony nominee Alexander Gemignani. Check out the photo of the cast taking their opening-night bow and be sure to see this reimagined production for yourself. Fiasco Theater reimagines Stephen Sondheim and George Furth's audacious musical.